Feb 1979 the Shah has gone. In 1979 After decades of the monarchy in Iran, millions of Iranians took to the streets in a popular movement against a regime that was seen as brutal, corrupt and illegitimate and topple the Shah. 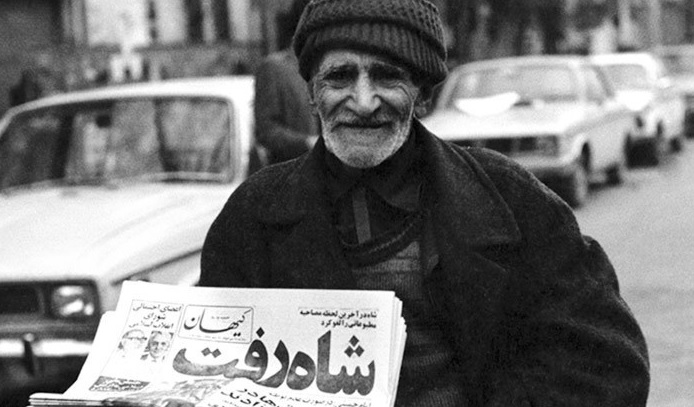 February 2019 marks the 40th anniversary of Khomeini's return to Tehran and the overthrowing of the Shah. What is the legacy of the Khomeini's rule? Now a day the people from all walks of life take to the streets protesting over the widespread corruption and the clerical regime’s dictatorship. They feel that their country is occupied by clergies. while the regime celebrates its 40th anniversary, the people are determined to get rid of them so that Iran can finally prosper once again. The people's main slogan in rallies and protests is "We shall never stop until we get our occupied country back ". Since Dec. 2017 when the widespread protests began, people started to get organized, resistance units grow and expanded rapidly, aimed primarily to restore social, economic justice and democracy in the country, young activists joined the resistance units to conduct the anger of the people and promotes daily protests. They have used social media to organize daily protests with hashtag # IranRegimeChange. Resistance units have been instrumental in emboldening the young generation to disenchant them from claws of the mullahs and to become outspoken for their rights, the resistance unit disengages the people from the current Frustrations over a rapidly deteriorating economy which have been boiling over their lives. the people have found their voices in the resistance unit's action and feel deserve a better future without torture, repression, and despotism. Resistance unit's news is distributed daily through social media injecting hope, happiness, and joy in the society. The people in every town and villages in Iran feel to need for resistance unit as they need for shelter, clothing, and fresh air And now more cities witnessing PMOI/MEK units attacking regime icons. Members of “Resistance Units,” a network associated with the Iranian Opposition People's Mojahedin Organization of Iran (PMOI/MEK), are reporting further measures against Iranian regime icons. Members of Resistance Unit in Mashhad, northeast Iran, set fire to the entrance of a building belonging to the Revolutionary Guards (IRGC) Basij paramilitary. 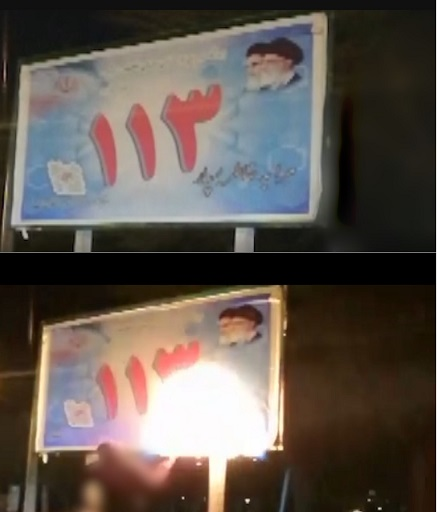 In Khorramabad, western Iran, members of Resistance Unit set fire to a poster of Iranian regime Supreme Leader Ali Khamenei and regime founder Khomeini while chanting, “Long live Iran – Hail to Rajavi,” referring to opposition President Maryam Rajavi of the National Council of Resistance of Iran (NCRI). 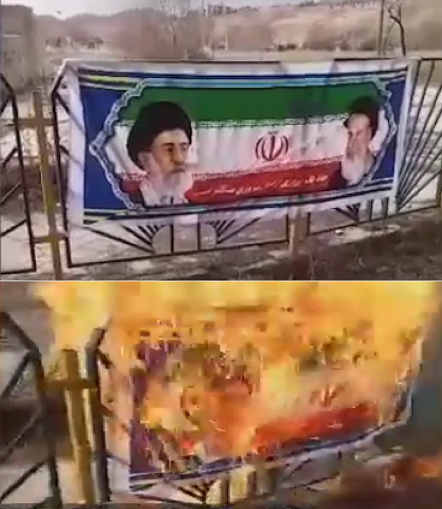 In Mahshahr, Jan. 25, Members of Resistance Unit set fire to a poster of Iranian regime Supreme Leader Ali Khamenei and regime founder Khomeini while chanting, “Long live Iran – Hail to Rajavi." In Miandoab Members of a Resistance, Unit set fire to the entrance of a building belonging to the Revolutionary Guards (IRGC) Basij paramilitary. 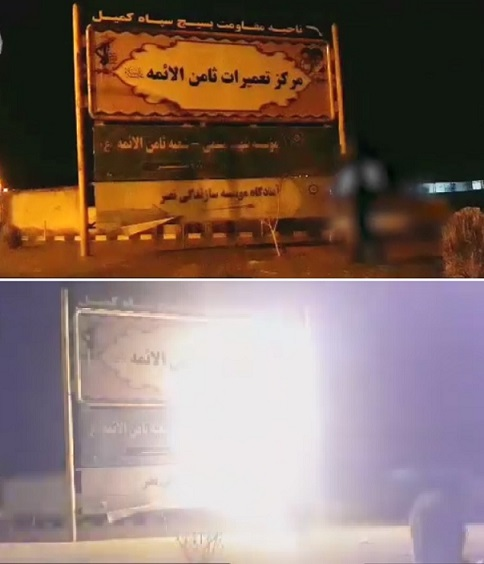 Members of Resistance Unit in Gachsaran of Kohgiluyeh and Boyer-Ahmad Province in southern Iran set fire to a Khomeini/Khamenei sign. The concerns voiced by the supreme leader Khamenei’s elements in regards to the upcoming Warsaw Conference, parallel to escalating anxieties about the PMOI/MEK’s increasing influence inside Iran, are on the rise and not a day passes without regime insiders voicing uncertainties about the future. In regards to the concerns of the PMOI/MEK’s current status, Jalil Rahimi Jahan Abadi, a member of the Judiciary and Legal Commission in the Iranian regime’s Majlis (parliament), wrote a piece published in the Majlis website.